When I was a little girl, I loved Valentine's Day - especially at school. I loved exchanging Valentine's with my classmates and over thinking who got what Valentine from my pre-printed box of Valentines features Hello Kitty, Care Bears, Rainbow Brite or whatever the character of the month was. You wouldn't want to send the wrong message to a boy, right? Now my little girl is in kindergarten and I was giddy when I read the Valentine's Day party notice. Each child has to make a mailbox and bring in Valentine's for the class. I knew exactly what I wanted to make with Elizabeth thanks to Family Fun Magazine. The process was relatively simple once I finished editing the picture. She held a tube of silver wrapping paper which I turned into a white stick using Pixelmator (Mac App). I then ordered copies of the pictures from Shutterfly using a free prints coupon. Heart lollipops were from Target. Fortunately I grabbed two bags because several were broken in the first bag. I then made a slit in the picture near the end of the "stick" and slid the lollipop through. 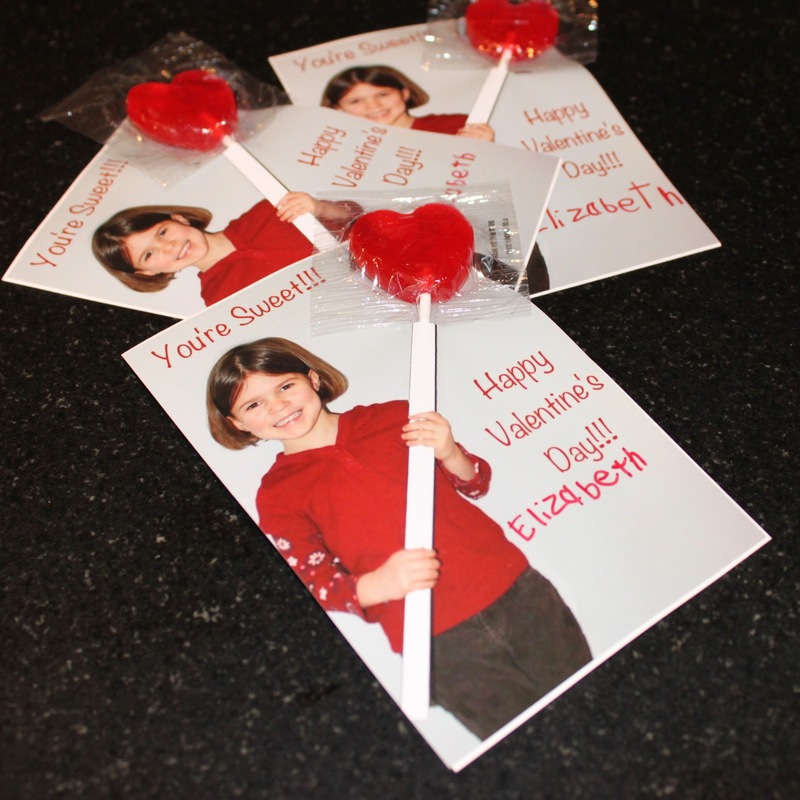 Elizabeth then taped all of the lollipops on the back of the picture, and we glued a 4x6 index card on the back for a little extra stability. Total cost of the project was less than $8 thanks to the free prints from Shutterfly! 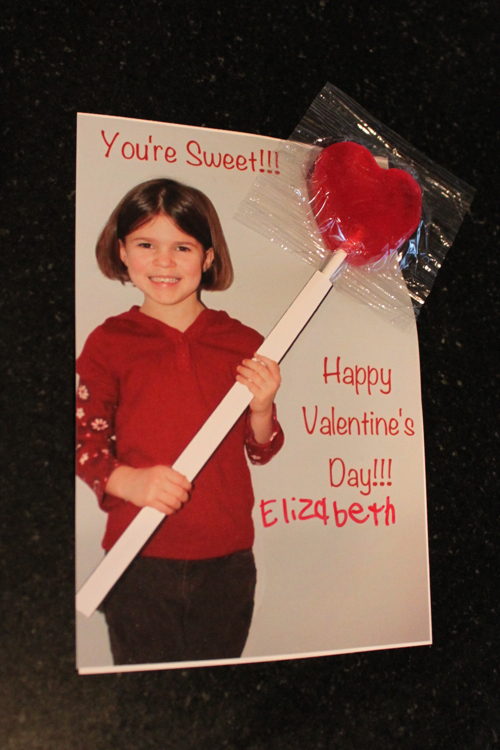 Elizabeth is so proud of her Valentine's and cannot wait for Valentine's Day! I forgot to take a picture of her mailbox before she took it to school yesterday but it was totally made by her and adorable. Any fun Valentines in the works?